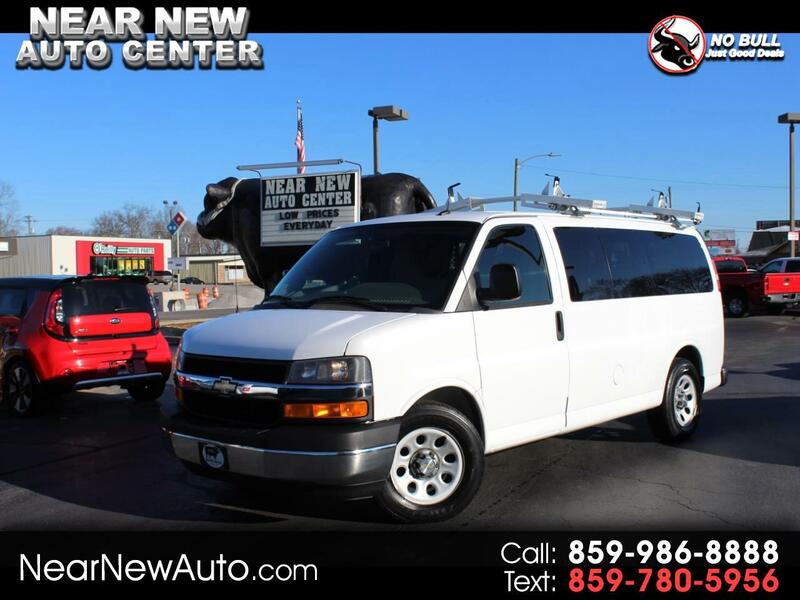 2012 Chevrolet Express **Go to NEARNEWAUTO.COM for more information** Extra Clean 2012 Chevy Express Cargo Van with 5.3L V8 Engine, Ladder Rack, Power Windows and Locks, Rear Air, Power Invertor, Side & Rear Glass, Very Well Maintained Van, Fully Serviced, Checked & Road Tested, Buy with Confidence. Want a different picture, another angle, question about options or vehicle history? Don't hesitate to call, text, email or stop by and we will be happy to accommodate your request. In business for over 40 years at same location with owners here every day to take care of our customers. Come see the difference and take advantage of our on the lot financing and low interest rates. View our entire inventory and more pictures at www.nearnewauto.com or call, text, or email for more information. Message: Thought you might be interested in this 2012 Chevrolet Express Cargo.